Please note: These are mainly OSX versions, some are also available for Windows. Just add some syrup and you are good to go! draw the exact path of the pan too! Click "Routing" change it to Mid/Side Stereo then use the "Edit Group" buttons on the bottom left to switch between the groups and sort out your frequencies! Play with it a bit through a pair of headphone on a good stereo signal to hear what it does. Want to know what's up and what's not? and get some balance in your mix. Ever had your dimension contracted? Use this plugin to expand it. This plugin is super good at keeping things in check and also brings out some body to your sounds, try to find the sweet spot on the depth knob, it'll probably be around 10-20%, but as always, just play with it. Use this to add a sprinkle of sweetness or a drop of sour to your sounds. 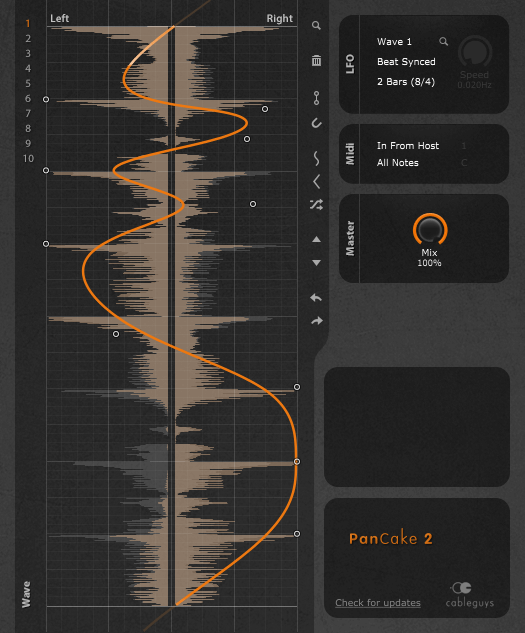 One of the absolute best free plugins I have ever used. There is also a paid version with more options, so if you like it as much as I do, then drop the guys over at TDR some change for the upgrade version. Nice if used gently, very good for a little bit of transparent compression. Great EQ with a smattering of different flavours, can't fault it. Quickly re-balance a low or top heavy sound. Sometimes too much width is a bad thing. your stereo field using this effective plug in. Add a little tremolo from Pecheneg to give it some movement. A little on the random side, but that is kind of nice sometimes, shove it on a sound and randomize the model and delays to get a different sounding reverb everytime. It's a whole bundle of free plugins. Crank this up to add a bite of colour to your audio. Sweet little plugin that as the name suggests, adds some top end air to anything you put through it, however, it's tempting to over-do it with this plugin, so don't push it too far! This plugin analyses its input and creates an opposed eq graph that is then applied to the output. Subtle use can really help to iron out problem frequencies in otherwise unusable audio. Similar to Roth-Air, this plugin adds some top end to your audio, but with added vintage colour, again use sparingly. Nice for flattening out those peaks and pushing up a little body into your audio. Adds a very nice lower end analogue warmth while opening up the signal. of that with the Mids and Sides. In this digital age we spend a lot of time and money trying to get things to not sound digital, this plugin is fantastic at adding a little of that fuzzy tape warmth. There are EQ's and then there are EQ's, this is an EQ! By far the best 'transparent' EQ I have ever used, well worth the price. Most reverbs sound like you are throwing a tin can full of nails around inside an even bigger tin can, this one is different, lush sounding reverbs with a huge amount of control, all in a single plugin. Again, control. Super wide stereo bass doesn't work, Monofilter pulls the lower end together, it'll help your mix sound more steady, stable and planted. Noise, fluctuations, grit, fuzz, reverb and dropouts, all these things add texture to your sounds, and all these things are here in this plugin!